Please remember that our calculator can only estimate the premium for a lease extension on your flat and doesn’t take into account the landlord’s fees for which you are liable. You’ll also pay a stamp duty if the lease extension costs over £125,000. Therefore, the figure provided by our calculator should only be used for initial consideration purposes. You shouldn’t use our calculator as evidence in court, nor should you take any action regarding your lease extension until you’ve consulted a professional surveyor and/or solicitor. When assessing lease extension values, evidence of similar flats in the same area is usually the main priority. This requires local knowledge and experience that is beyond the scope of our lease extension cost calculator. If you need advice from a trusted, experienced and local chartered surveyor, don’t hesitate to call us on 020 3598 6730. Because the value of your property increases when the lease is extended, your landlord is entitled to half the value of the increase. This is what’s known as the marriage fee. If you want to avoid paying the marriage fee, you need to extend your lease before the remaining term reaches 80 years. When calculating the total cost of your lease extension, you need to bear in mind the landlord’s fees for which you will be responsible. For example, you’ll most likely be liable to cover the costs of your landlord’s solicitor and surveyor fees, provided they’re ‘reasonable.’ We recommend adding approximately £2000 to the initial cost provided by our lease extension calculator to gauge an estimate of the total price you’ll need to pay. If you think your landlord’s fees are unreasonable, you should talk to a licensed solicitor or chartered surveyor, who can tell you which steps to take to dispute the fees. 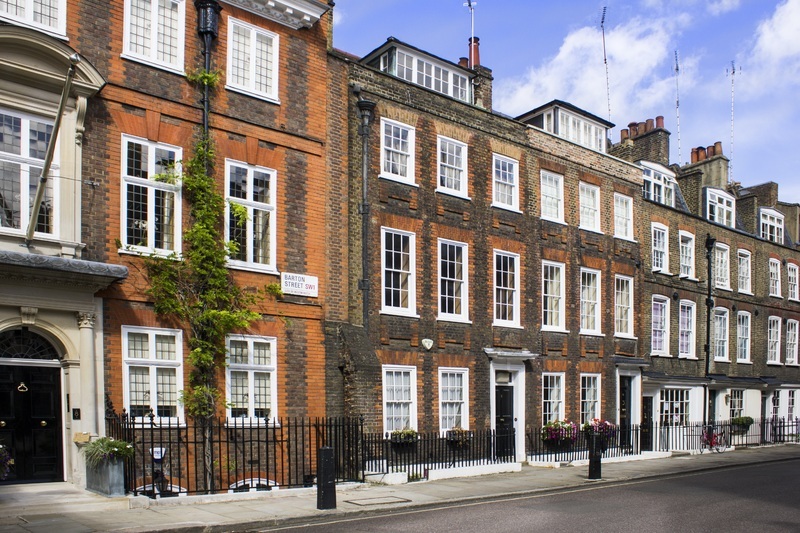 If your landlord’s interest in your property or any adjoining leaseholds reduces in value due to your lease extension, you’ll need to pay compensation. In most cases, given that your landlord will still own your freehold, you won’t be liable to pay compensation. However, loss of redevelopment potential could result in a claim. Again, we recommend consulting a qualified professional, such as a solicitor or surveyor, to find out whether you may need to pay compensation. As mentioned above – there are clear and strict guidelines that both parties must follow if you wish to formally extend your lease. However, you can enter into an informal agreement with your freeholder, removing the need to follow the procedures of the act. If you’ve only just purchased your leasehold, your freeholder reserves the right to deny an extension, but they will rarely do so. This is just one example of when entering into informal negotiations can be beneficial. Provided you’ve owned your leasehold flat for a minimum of two years, your freeholder must grant an extension. You don’t need to have lived in the flat for the two years for this right to apply. When you extend your lease, it will most likely be for an additional 90 years. If you choose to enter formal lease extension negotiations, you must first serve your landlord with a Section 42 Notice, which details your opening offer and is usually prepared by a solicitor on your behalf. Your landlord must respond to the Notice within two months. If you and your landlord can’t reach an agreement, you can refer the matter to a Leasehold Valuation Tribunal (LVT). Your solicitor will provide guidance should you find yourself in such a situation. This act means, by law, landlords/freeholders must allow leaseholders to extend their leases, provided they’ve owned their leasehold for at least two years. In practice, you can usually extend your lease at any time by reaching an informal agreement with your freeholder. By extending your lease, you could add a significant sum to your property’s value while securing an extra 90 years on your lease with no ground rent. However, extend your lease too early, and your costs could be higher than the increase in value. Extend too late, and your lease extension may be impossible to mortgage. Our leasehold extension calculator can help you decide whether now’s the right time to extend your lease. The approximate cost of extending your lease as well as learn more about factors that affect the total price, what to expect during this process and how a surveyor can help you. Why you should consult a Chartered Surveyor? Maximising the financial benefit from extending your lease is all about timing. If you have less than 60 years remaining on your short lease, it may be virtually impossible to remortgage. If you have between 60 and 70 years remaining, there may be very little financial benefit to realise. You should consider extending your lease if you’re approaching the 80-year mark, but as each case is unique, it’s worth getting impartial advice from a qualified surveyor before taking action. Both you and your landlord must follow strict procedures and timeframes when you wish to extend your lease, assuming you choose to negotiate formally. The procedures outlined under the Leasehold Reform, Housing and Urban Development Act 1993 exist to protect your legal rights, but you don’t need to follow the guidelines if you wish to enter informal negotiations, as discussed below. The following lease extension advice will help you understand the lease extension process, but we’re only a phone call away if you have any questions.